There are a few reasons you might be in the market for Jeep Liberty sheepskin seat covers. Maybe you need something to warm up your seat for those cold winter months when having leather -- or even pleather -- upholstery can be a truly chilling experience. You may just prefer the look of a sheepskin seat cover on your vehicle. Regardless of your reasons, there are a number of places to purchase such seat covers, either in your hometown or over the Internet. If you like to support local business or you prefer interaction with real, live human beings you should go down to your local car accessories store and see if they can sell you Jeep Liberty sheepskin seat covers. Even if the store doesn't have anything in stock, they can probably find something for you through one of their catalogs. Barring this, a chain store such as Pep Boys or the local Jeep dealership may be able to help you out. However, you shouldn't hesitate to make a purchase using the Internet. This allows you greater freedom to choose the perfect sheepskin cover for you. Your options are far greater on the Internet than they are just in your hometown. Websites like Auto Anything, Shear Comfort and Sportomotoring offer the opportunity to choose from a wide variety of Jeep Liberty sheepskin seat covers, as well as other fun car accessories. Here you can search for a number of different colors and patterns, depending on your personal taste. Most seat covers come in two parts -- one for the main seat and one for the headrest. You can also get sheepskin seat covers with additional padding. This is for the person seeking a little more cushion than the stock seat in a Jeep Liberty provides. Before you purchase something with more padding you may want to consider getting a seat cover from a store in your home town. This is because you cannot test how much cushion the seat cover will give you without actually sitting on it. While you generally can return things purchased on a website, it can be a hassle, not to mention expensive. To return, you will have to pay to have the seat covers shipped back, in addition to having to pay additional postage to have the new set of covers shipped back in the event that you purchase another set. 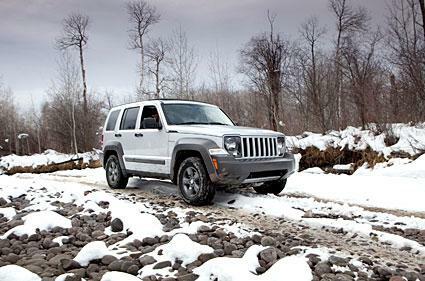 Before you make your final decision, you may find it prudent to shop around and find the best fit for your Jeep Liberty, as well as the best deal. Remember that there are a wide variety of sheepskin seat covers for your vehicle to choose from. You may think that you're in love with the first set that you see, but upon further inspection, you may find others that are more to your liking. Even if you find the perfect set right away, the price may not be right. Shopping around is the best idea for you. 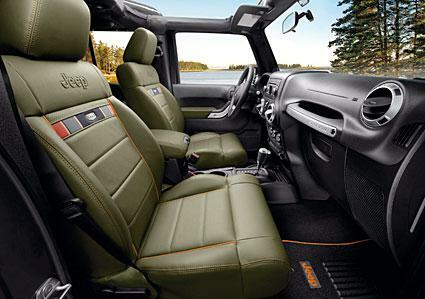 The money you don't spend on seat covers can be spent on other accessories for your beloved Jeep Liberty.